We all have word tics. Mine is just. It jumps off my keyboard into blog posts with frightening frequency, and often not noticed till the third revision. I can tell the blog posts written and posted in haste: they're just full of stuff. Ok, that was a witticism. I know you all spotted it. They're just full of stuff. Which is a stronger, leaner sentence? Which says exactly what you want to communicate? There is no rule here, there is only your keen eye. This is the keen eye you get from a close reading your first/second/third/Nth draft and paring out everything you don't need. You won't catch everything the first or second time. You know you're done when you're changing things back to what they were in the previous draft. A client of mine recently sent me a proposal that talked about "some mental shenanigans." I love the word shenanigans. But how many shenanigans are some? More than one? Three? Pi r squared? Take out "some" and mental shenanigans stands quite nicely on its own. Knowing your bugaboo words is a learned skill. Being able to identify empty words fattening up your sentences is another. Actually, I have found that I actually use the word actually quite often. Even reading through my previous day's writing before I start anew, I find there had been one particular word that I must have considered the word of the day for the frequency in which I use it. After thirty years as a published writer I (finally) paid (a pretty penny) an (real-skilled) (expert) editor to weed and feed the memoir I am now querying. When the (really heavily) edited manuscript arrived back (looking as if it had been highlighted with multi-colored sprinkles) I was astounded by the amount of repeated words I depended on as (simply) necessary. Just, actually, and really were outstanding culprits among dozens. Today’s post reinforces the (absolute) importance of lean writing and healthy editing. I need to go eat a book. When I'm first drafting, "impossibly" is a word I use a lot. I think of it as a placeholder word for, "I need to describe this monster better" or "this happening requires a far more in depth description", and I'll take more time with it in a later draft. The word "that" I tend to hit ctrl+f for to get rid of most of them. Interestingly, if you want to learn a foreign language and you're investigating DuoLingo, as I am, there's an entire lesson section of "the, this, that" to chew on. Or your library might have Transparent Learning, which mine has recently added but I haven't tried yet. Recently with a draft, my beta highlighted a section and in the comments just said "I assume you've fixed this already" and I read it like ¯\_(ツ)_/¯ and added a comma. In NaNo news, I only broke 2k on the novel yesterday, but finished the first draft of my short story. Some of my buddies are chugging along, though, wow! Yeah, guilty. Half my revision time goes to cutting “just” and my all time bugaboo “quite”. Great for scrabble - terrible for manuscript. Just and really are two my main bad guys. These words are not always inappropriate, but like every other word in the manuscript, they need to pull their weight, or they're out! I find that I do a lot of smiles, nods, or shakes head with my dialogues. I now know to go through my MS to see if they're fluff or if they're placeholders for writing something more in depth. Thank you, Janet, for these NaNo blogs. The craft of writing is a never-ending journey. Me too. My characters apparently do a lot of smiling and nodding, also sighing and exhaling. My Cntrl+Fable words (among others) are "almost", "so" and "only"
I'm guilty of AND and SO. Thank god for computer-enabled revisions. I wouldn’t have got very far in this writing game if I’d had to put quill to parchment in the days before paper was manufactured. Oh, hold on. I haven’t got very far anyhow. Doh! As in, He wondered about something, where did they go. EVERY:everything, everywhere, everyone. As in, Everyone on the pier turned in unison. Just may be my biggest tic, but I've identified four others so far (even still only that). And as a real American hero often says, knowing is half the battle; now I can pick them off one by one. Everything. I have every bugaboo word ever. I ALWAYS put in words like just, really, even...in my first drafts. Can't help it. I edit them out later. pleonasms--really, you need to actually just learn to avoid them--OOPS! By the way, properly used these words can color the meaning of phrases. To me, "It's just about time." Implies some action to follow. Where as "It's nearly time." Simply says we are aware to the clock. But we often use them to hold the floor during conversation: you might not be interrupted while talking and they provide a moment to compose the next thing to say. Don't write like a blabbermouth. So, we load our writing with pleonasms because that's how we talk. Practice talking without them and they will drift out of your prose. "Just" intrudes often, as does his sister "only." The most aggressive word is "of." It shoulders its way onto every page. The hardest part for me is in dialog. Because I want characters to sound like real people, and real people use those words. So I have to leave a *few* of them in. But deciding *which* few...argh! I "just" realized I'm not the "only" one who likes "of." "A client of mine recently sent me . . . "
I plead guilty! Tics are tricky to stamp out, but the flash fiction contests help me identify troublemakers. In addition to the common filler words, I frequently have a special word per chapter, often around a moment I find especially emotional. So a character might talk about hugging their dad, and then the friend is hugging their knees while they talk, then the fog hugs the ground, and so on. My critique group usually helps me find these. It takes me months away from the MS before I notice them. ^Ditto. My characters are way more melodramatic than I intend. Someone pointed out recently that one of me tics is saying the person's name in dialogue. She pointed out that names are generally used when an individual is being talked about or when someone needs to get their attention. I was using names basically every other line of dialogue. All of the above I have a problem with. Probably because I tend to write my first drafts quickly. Whatever words come out I try and accept until it's time for editing and revision. I don't find it helpful to question myself while I'm trying to be creative. While editing this year I used Autocrit.com to help find these words (and many other things). It highlights all the filler words like that, really, just etc. It also will find instances of repeated words, then you can decide if you use shenanigans five times in your manuscript (or chapter!) if that's too many. I wonder though if relying on a tool like this after the fact will prevent me from learning not to use them in the first place. I still found some thats in my printed MS afterward and now I've crossed so many out, I feel tuned into eliminating all of them from my usage. :-) My new novel will still probably be littered with them. I don't purposely beef up my word count by adding in filler words. I swear! And I also don't eliminate contractions (which is a NaNo trick people have suggested). Even though I'm not NaNoing, I'm loving these posts and the comments. I also love the word shenanigans. And malarkey. I frequently make memes of the Proud Spirit herdies engaged in high shenanigans, or one horse who isn't gonna put up with any more malarkey, i.e. pinned ears, a swift kick, bared teeth CHOMP!. It seems to me that when I focus in one way, something slides in. I work better staying back far enough from that kind of introspection and focus on the bigger picture. Then my tic words rotate through some cycle I haven't yet been able to comprehend. It's tedious, and humbling, but I read aloud every word I write--after I've done a few runs of editing. Reading aloud then renders the tics clearly. Like I said--humbling. I'm nodding as I read these. Yep, I do that one. Uh-huh, that one too. Just (ha!) last week I noticed one of my characters smiles a ridiculous amount of times. How can I show she's happy, she found that other character's comment funny, etc. other than saying she smiled? Addressing the tics is such (do I use "such" too much?) a good way to work on improving craft. I also find the search function helpful. And then comes the debating: keep the word, delete the word, replace the word, or make some other change? I have the same problem with 'just'. I think I've trained myself out of over-using 'rather', but other words then take the place of the problematic ones I notice. At least one of my editing passes- a later pass if I only do this once per ms- is for dealing with these linguistic tribbles. For a variety of reasons, I spent a good bit of time and energy the past year thinking about formal sentence structure, effectively diagramming sentences in my head. The result was I completely missed some of these tribbles and my professional editor was forced to attack a veritable horde of "thats" and "sos". "Ands" and "buts" showed up with annoying frequency as well. In my own works, these are indeed best spotted after some time away from the ms. Beyond my common problem children, each book had a few unique miscreants as well. One of the side-effects of this process is that my vocabulary, which shrank over the years while spending much of my spare time with groups of teenagers, is being restored to its former glory, or at least recuperating. How does one pluralize words being quoted this way? You said, "I wonder though if relying on a tool like this after the fact will prevent me from learning not to use them in the first place." It may, but that's much better than letting Ms. Editor get in the way of Ms. Writer when it's time to write. On the other hand, if you can put some writing practice time to eliminate these problems, it may well help avoid them. Just don't let it get in the way of writing! That's what editing is for. "Just" and "so" are my favorite hobbyhorses. They're just so tempting! But at least I'm in good company. "At least" is another tic of mine. At least I'm aware of the problem. I am afraid to look at my manuscript now. Stupid filler words cavort and procreate like bunnies throughout every page I write. It is an arduous task to find them all. But, just so you know, I really will try. Right now, I'm actually having trouble with would. My character is faced with some unknowns and spends time speculating what would happen if, what would she do if...Ugh! My characters' eyes are always doing something. It seems natural when I'm writing, but it's overkill. "Just" is also another biggie of mine. When I was a kid, there was a book about a girl (super descriptive, I know). It used the word "listlessly" so many times that I wanted to rip the pages out even as a kid. Once is bad enough! My sister who read the same thing also noticed it. We still make fun of it to this day. "So, what do you want for Christmas?" said Billy's father. "I don't care. Anything," Billy said, listlessly. Should I be concerned that I'm nodding along with every single one of the remarks? I have all the tics. Well, editor me will have to deal with that because writer me won't get anything written otherwise. One tip I saw was to make one of those word clouds with a finished manuscript. The more often a word is used, the bigger is is. JUST and LOOKED and ACTUALLY tend to be huge for me. I'm loving all these NaNoWriMo posts. I have the "just" tic also, along with many more. I'm attempting NaNo this year. I have two little kids and a full time job, so I giving myself some grace on the word count and reaching for 30,000 as a personal goal. 50,000 would be amazing though. I am MLLOVE on the site if any one needs another buddy. My high school English teacher called them 'Weasel Words'. Start at the top of the generated list, find every instance in the text, and carefully decide to keep, delete, or replace. In addition to word tics, I have grammar tics. Apparently I'm madly in love with em dashes and ellipses. I never knew about word cloud generators. Thanks! Colin - Now have Billy doing that multiple times within (most likely) 40,000 words. Billy is now a wimpy rag doll! Part of my editing time is spent running the search function to catch my word tics. First drafts are so weasely. I can’t use prepositions... I use one that works but almost always end up changing them when editing. Apparently, I don’t read prepositions. Y'all inspired today's bog post. Thanks! Ugh, I have so many, including just, that, so (it's a long list, I won't bore you with it). "Just" is contagious. I caught it. I'm blaming someone here. You know who you are. Why are 4,268 people raising their hands? It's like ALL the kids in day care came to class with colds. What chance does a healthy person have? Darn you, people! Click here to sign up for news about my clients (and me!) and other Amazing Things! 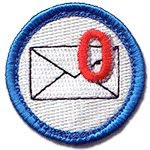 If you queried on or before 12/3/18 and haven't heard back, click the badge to get to QUERY LETTER DIAGNOSTICS before resending. So, what have you sold, Janet? I'm a literary agent in NYC. I specialize in crime fiction and narrative non-fiction (history and biography.) I'll be glad to receive a query letter from you; guidelines to help you decide if I'm looking for what you write are below. There are several posts labelled "query pitfalls" and "annoy me" that may help you avoid some common mistakes when querying. literary love-child of Lincoln Child and Dean Koontz. "You must read this book. 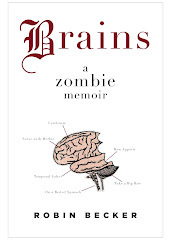 Starting yesterday"
"On my best of 2010 list"
"A fantastic read from start to finish"
Andrea Sisco calls it a "must read thriller"
What people are saying about BRAINS! "a funny yet heartwarming story"
"it's novel as a novel"
"one of the best books I have read in years"
"Go on! Take a chance! Get bitten!" Radio interview with author Robin Becker! Some of the coolest zombies around!